When Lionsgate released the first “Saw” film back in 2004, no one could’ve predicted that a low budget horror movie would end up being one of the most successful horror films in movie history. Saw redefined the horror genre with its masterly crafted death scenes, intriguing storyline, and out-of-the-park plot twist. After eight films, it seemed that the Saw franchise had finally come to an end. 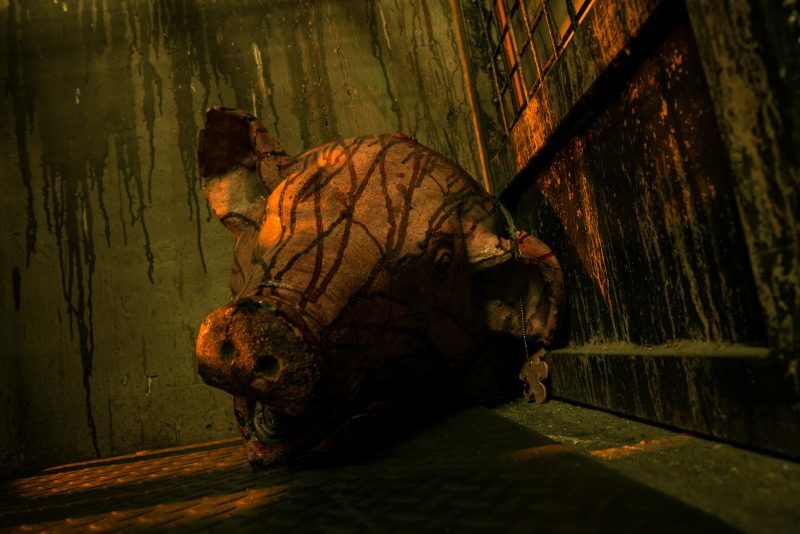 But Lionsgate sought to continue the Pighead’s legacy by creating an immersive escape room located just a few minutes away from the famous Las Vegas Strip. We recently had a chance to put ourselves to the test and try out the Saw Escape Room. So we gathered our four corrupted souls to see if we had what it takes to take on Jigsaw’s challenges. 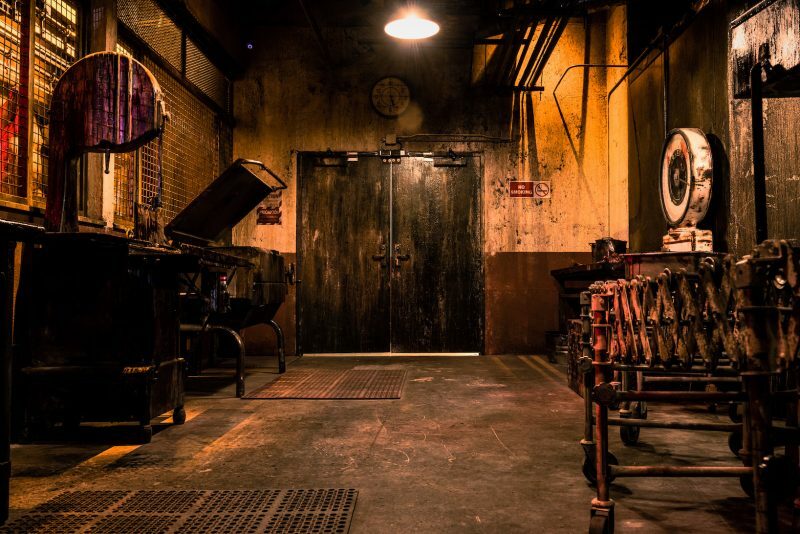 The story behind the Saw Escape Room will place you and your group as visitors of the popular meatpacking factory, “Egan & Co Meat.” What was supposed to be your typical factory tour suddenly turns into the stark realization that the factory is really Jigsaw’s den. It’s the place where his victims will either survive to live another day or become their final resting place. From the moment we arrived at the escape room, we’re greeted by a large, custom-made neon sign that reads the name of the meatpacking factory. We stand in front of a gate, and from there, we can get a rough idea of just how big this escape room is. What I truly appreciated was that even outside, the escape room wants to make you feel as if you’re really visiting a meatpacking factory. Once we’re walked through the gates, we are placed in the first room, the lobby. Now most escape rooms we’ve been to have a pretty bland and boring lobby, as it’s the place for us to sign waivers and learn the rules. But the Saw escape room makes the lobby as part of the immersive factor. The room has a retro feel to it, something that’s reminiscent of the ’50s or ’60s, complete with jazz music. Vintage butcher tools and machines that are used to slice and grind meats are on full display, as well as some old pictures that are made to portray the history of the “Egan Family”. 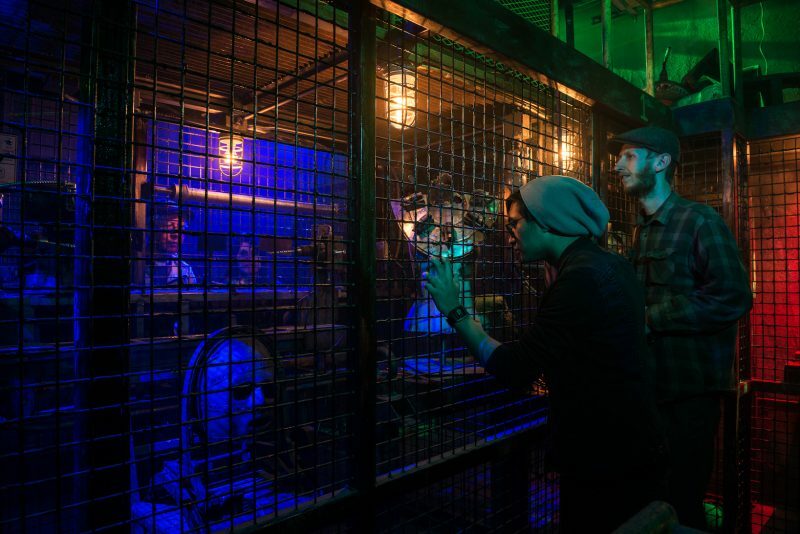 The escape room has several rooms, each made to resemble certain scenes throughout the history of the Saw franchise, and each made in such detail that it feels as if they were ripped right out of the movie. The rooms are dark, drab, and dirty, which is exactly what you would think if you found yourself inside an abandoned factory that’s been turned into a haven of torture and death. If you’re a fan of the Saw franchise, then it’s pretty much a guarantee that you’ll fanboy over some of the rooms you encounter. Of course, it wouldn’t be a “Saw” escape room without the infamous bathroom from the first film. 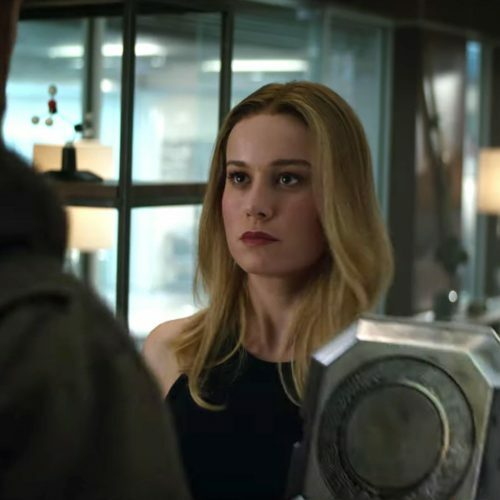 But you’ll also come across a room that has glass jars on the ceiling, which comes from the fifth film in the franchise. And throughout the entire place, you’ll find some recreations of Jigsaws killing devices. The Saw escape room operates a little bit differently than most traditional escape rooms, as this room leans more on the immersive experience. Where most rooms will have time slots separated by the hour or so, this room allows groups to come in every 20 mins. Your experience overall will last about an hour, but groups are timed and coordinated to a point where you’ll never encounter the group either before or after you. Because the entire escape room is so massive, it allows for this conveyor belt style of play, which is fitting since you are inside a meatpacking plant. The puzzles throughout the entire place ranged from easy to hard, with none being frustratingly difficult. 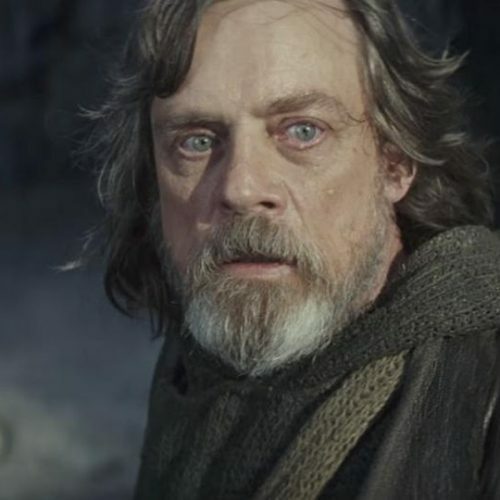 Puzzles would come in the form of either unlocking a lock with a key to simply flipping on a switch, but most relied on using keen observation and deduction to solve. What made the puzzles problematic to solve came from the amount of pressure that you’re placed under. Because of the vastness of the Saw experience, each room your group finds themselves in will have its own allotted time. Some rooms might give you eight minutes to escape and move on, while others might give you only four minutes. It’s that limited amount of time that basically renders your teams time for observation and critical thinking down to almost nothing. 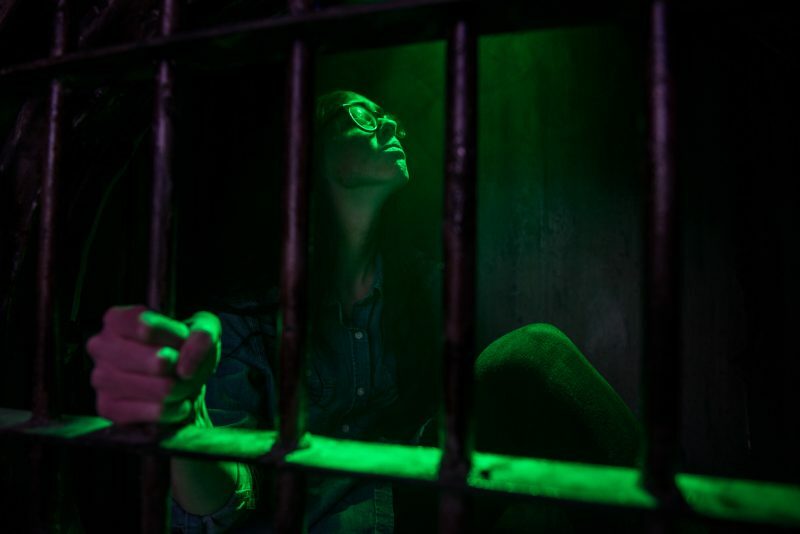 I can see that being a frustrating factor for most seasoned escape room players, but I think it’s done to give you another level of immersion. I mean, the entire concept of the escape room plays on the idea that Jigsaw is testing you to see if your life is worth living, and if you remember from the movies, he never really gave anyone a lot of time to make that choice. When it comes to in-game help, the hint system works a little differently. Throughout the entire game, our group was paired with a character who would help us when we needed it. But that “help” was decided upon from the beginning. While in the lobby the receptionist asked our group if we wanted no help, a little help, or a lot of help. As much as it hurts our ego to ask for help, in the end, I’m glad our team chose “a little help” because we definitely needed it. From the moment we arrived at the Saw escape room, everything was a show. They wanted to make you really feel truly immersed in the story they crafted. The security guard at the front gate, the receptionist inside the lobby and your in-game help (played by Matt) were always in character, never missing a beat. Our favorite was “Shady” the security guard, who laid a thick layer of puns to get our team going, but everyone we encountered deserves a round of applause for their commitment to the story. The rooms are masterly crafted and have paid attention to the every last detail to give you a feeling of authenticity from the films. The quick gameplay style makes the puzzles seem harder than they are and makes you think quickly on your toes. In the end, our team was unsuccessful, only having accomplished just 4 out of the 7 rooms. And as we walked down the last hallway, silent, with our heads hanging in shame, we were reminded of our failure as we had to hear one of our team members blood-curdling cry for our help as we left them there, sealing their fate in the hands of Jigsaw. The Saw Escape Room was an experience that we would never forget, hoping to one day return to show Jigsaw that our lives are worth living.